With Halloween coming up, I couldn’t decide if I wanted to dress up or not. I pretty much use October as an excuse to crack out all my skeleton clothing anyway. 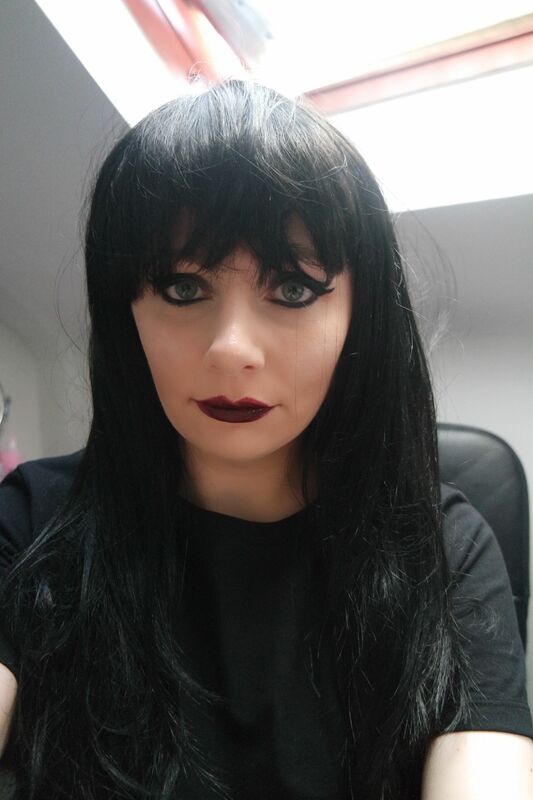 Rather than dressing up I wanted to make a simple change and just go for dark make up and a gothic look wig. 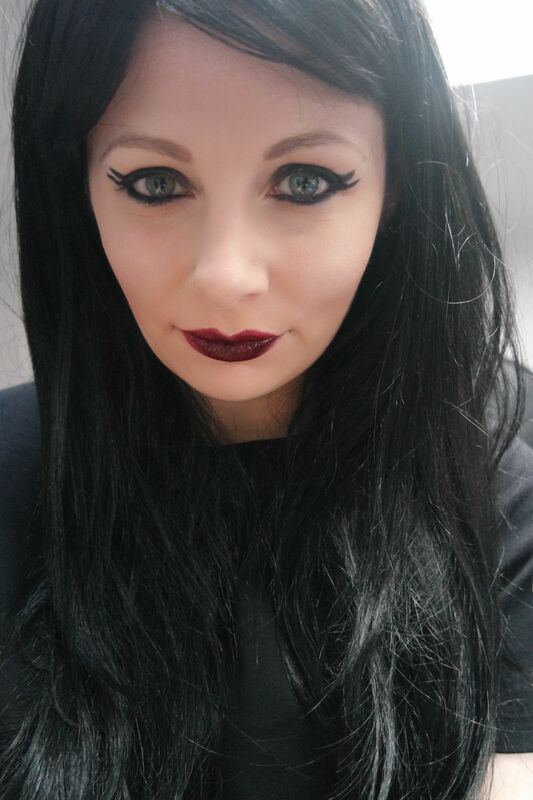 I got myself the Vixen wig from Hot hair for £19 which I think is an absolute bargain for a wig. It was on offer reduced from nearly £50! They have so many great wigs, for any occasion, whether you want to wear one daily or if you want to wear one as part of a costume. 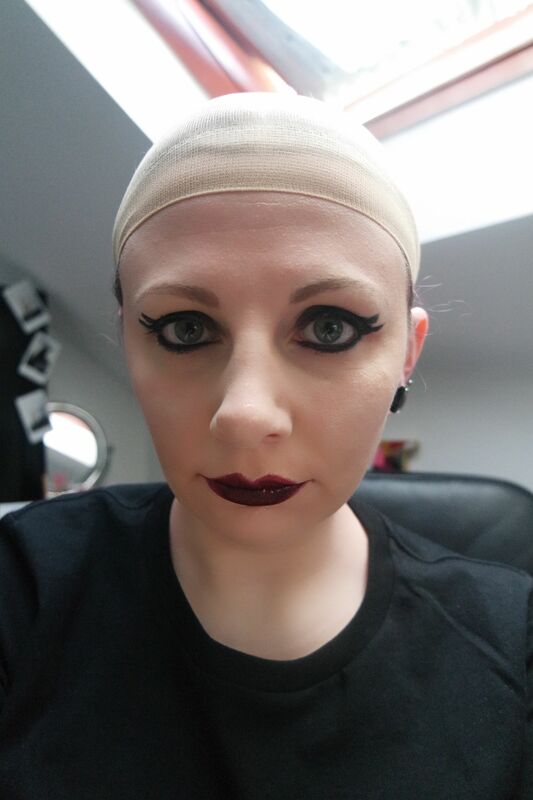 I have tried wigs before, I put a wig cap on before putting this on. It fitted really well and felt secure. I may trim the fringe slightly though and if I ever change my mind about the length of the wig I may cut it into a bob! I feel like I have Wednesday Addams/Morticia vibes with this look, but I am digging it. It looks so cool it really suits you! You really suit the darker hair! 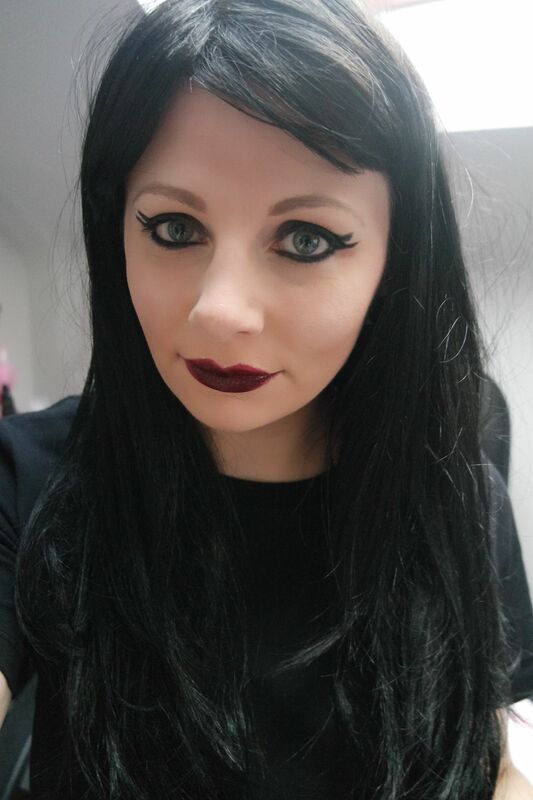 Definitely a Wednesday Adams vibe going on with this look! Oh wow you look so cool – I like you with really dark hair! Ahhh that suits you so much! Perfect for halloween! you really suit the wig! so good for Halloween!! The only time I wear wigs is when I’m in a show but this wig looks AMAZING on you! 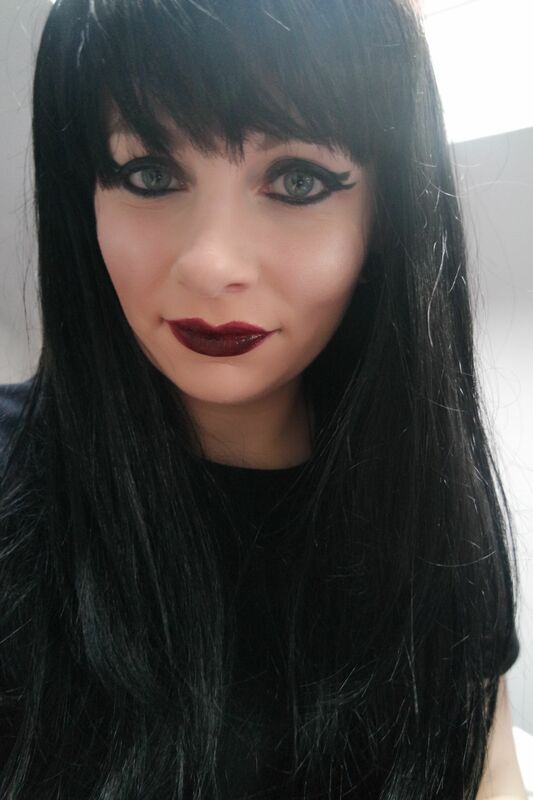 I definitely would consider looking at wigs for a future fancy dress! Ohhhhh I love this! I really want to try some wigs. 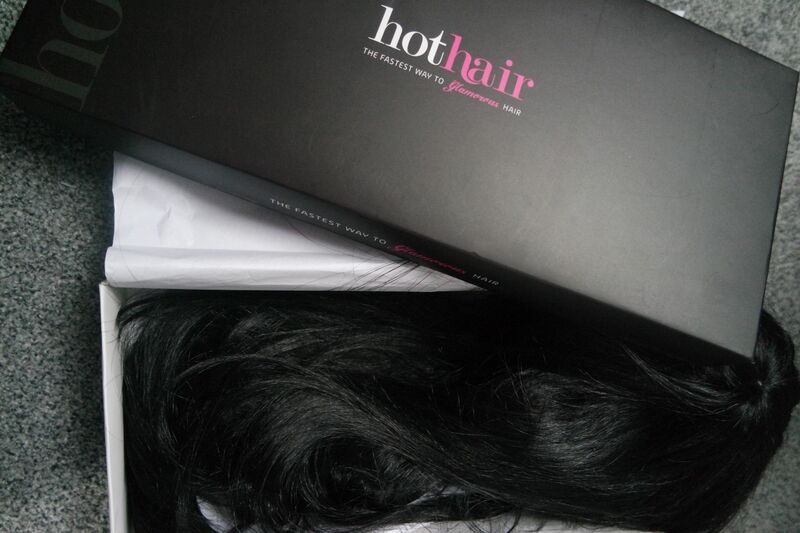 I’ve heard really good things about this brand, dark hair suits you! omg this is so so cool!